A few years ago the most powerful of all dark teas embarked on a journey to western hearts. This tea king of health already has a long tradition of undertaking long and exquisite journeys. It managed to be much appreciated and loved by many for countless reasons. 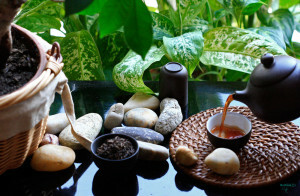 From its character to health benefits, this tea is the most unique of all Chinese teas. With distinct flavor, rich history, and unbeatable health benefits, Pu’erh deserves a throne in the tea kingdom. While every single tea has a special purpose, pu’erh benefits could be seen immediately after drinking. We know that you keep reading about all those tea benefits almost on a daily basis, but the truth is, tea really is good for you. While there still might be a need for extensive research on different tea types and their benefits, if you start incorporating tea into your daily life, you will be surprised by the outcome. Pu’erh is a special tea type from Chinese province Yunnan. It belongs to a category of dark fermented teas. Pu’erh can be found in both loose leaf form and compressed into different shapes – from bricks to cakes. 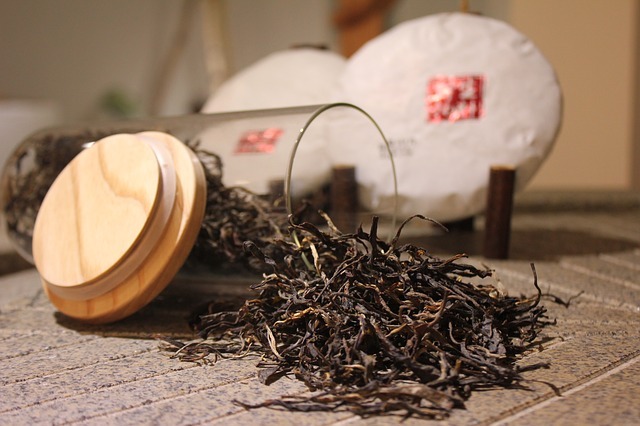 Pu’erh is made from sun-dried leaves, piled on the ground and left to ferment with the help of special bacteria. Pu’erh can be raw or ripe, with the first one being very astringent if prepared inappropriately. Ripe pu’erh, on the other hand is mellow and perfect for all tea beginners. Both have many benefits, but need to be drunk differently. While you may have heard about tea being able to melt fat, the truth is somewhere in between. You still need to take care of your diet, exercise often and drink tea on a daily basis. Pu’erh is completely different when it comes to seeing and feeling its benefits. The key feature of pu’erh is the ability to speed up metabolism and lower bad cholesterol. If your stomach hurts after eating too much, pu’erh will prove more than valuable. Drinking a cup of ripe pu’erh after a heavy meal could remove that heavy feeling in your stomach right away. Never add additional sugar, honey or any other sweetener into pu’erh. Pu’erh should be drank without milk. If you want to see the effects on your body, replace all sugared drinks with pure tea. Raw pu’erh can cause a feeling similar to drunkenness or stomach pain if drank in excessive amounts, therefore we recommend starting with ripe type. Pu’erh is the type of tea that is extremely easy to brew, almost impossible to ruin and that can be re-steeped numerous times – much more than green or black tea. Always use freshly boiled water, 3-5 grams of tea leaves and 150-200 ml of water. You can brew it for several minutes or follow the traditional style of multiple brewing starting from 20 seconds. Increase time by 15-20 seconds for each additional cup. Drink it while hot, and preferably after the meal. More important than just counting the benefits, is to truly enjoy your tea. Pu’erh taste might be difficult to handle for most tea beginners. Berry Berry Pu’erh is a delicious pu’erh and berry blend with Nova Scotia berries for a perfectly balanced flavor that will be loved by both fruit tea and pu’erh tea lovers. While most Chinese teas are usually drunk unblended, pu’erh is commonly an exception. It can be mixed with all sorts of different flowers and flavors to create unique combinations. Pu’erh is not bitter, but it does have a peculiar brick-like earthy rich flavor that might require some time for you to adjust. If you still didn’t have a chance to taste ripe pu’erh, give it a try. It could become your new favorite after-meal tea. Previous Why does Humani-T close on Baha’i Holy Days?